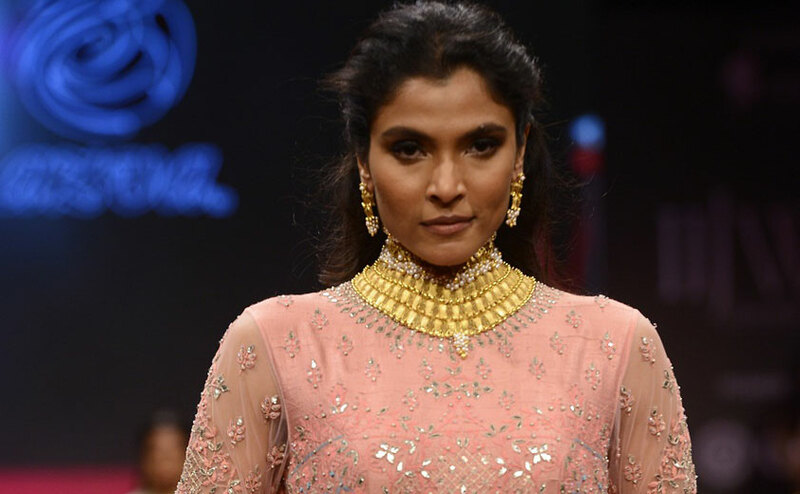 Azva show was all glamour as Vaani Kapoor, in a luxurious royal blue lehenga was styled with the stunning Azva Polki Diamond Showstopper as she took to sizzling the ramp. 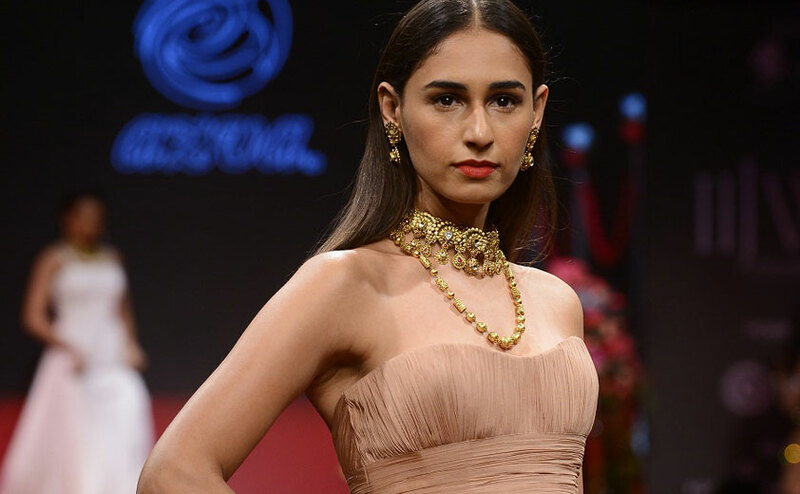 The IIIJW ramp showcased the versatility of Azva gold jewellery, mixing it remarkably well with modern gowns and clean minimal silhouettes creating a quintessential Red carpet look. 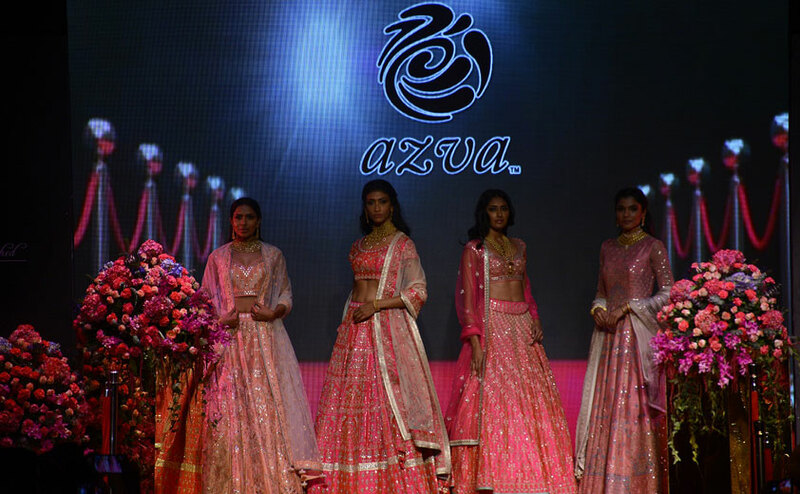 On the other hand were exquisite bridal garments decked out to fit the style of a contemporary bride of today. 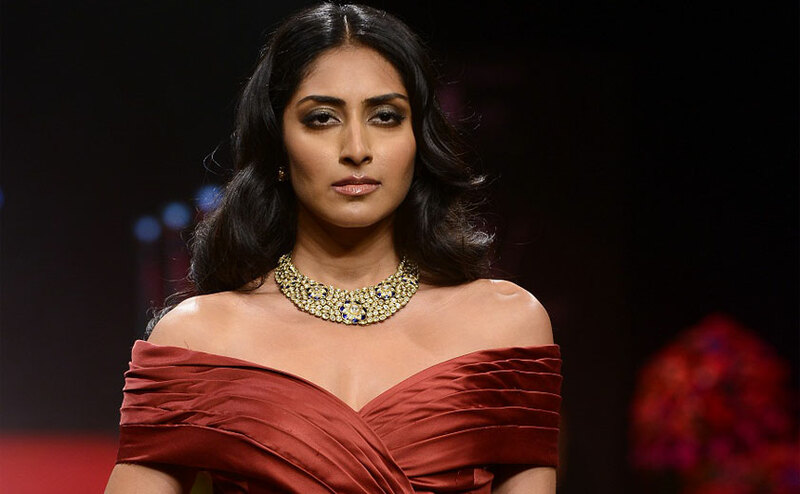 The show came to a close with infectious energy and vibrant hues that perfectly complimented the handcrafted jewellery.